Please comment if you have questions! I’m really not a fan of baseball – but to kickoff the 2011 MLB season, I thought this would be cool to share. 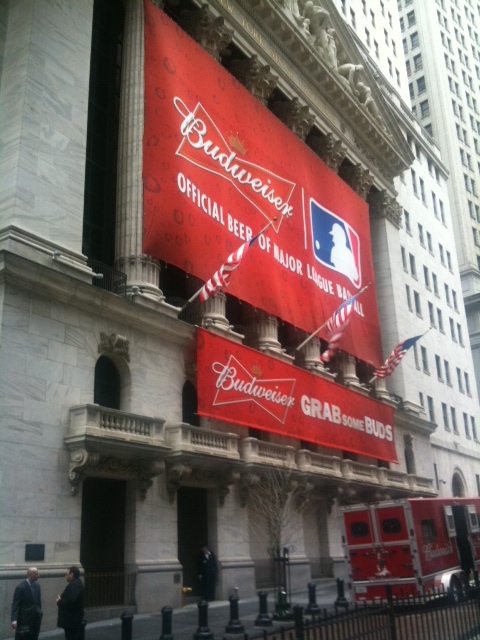 The banner says ‘Grab some Buds,’ makes me wonder if they are giving out Buds in front of the New York Stock Exchange. 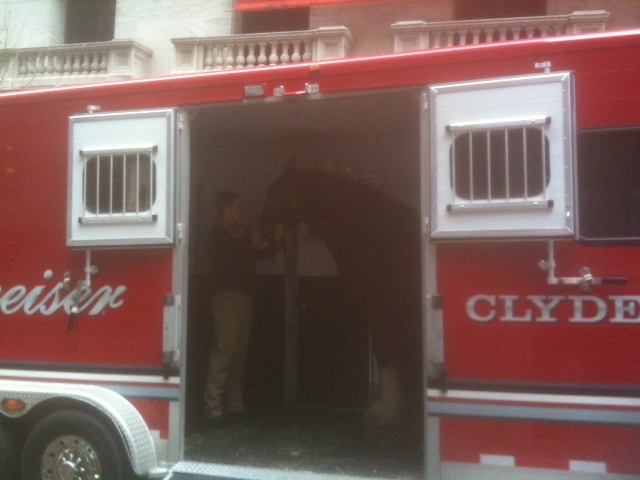 Wonder if their horse drinks Buds? 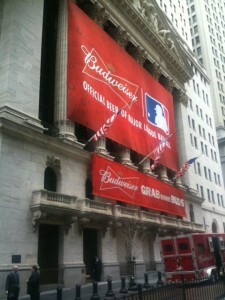 If they are giving out Buds (which I doubt), do let me know so I can grab one to go! 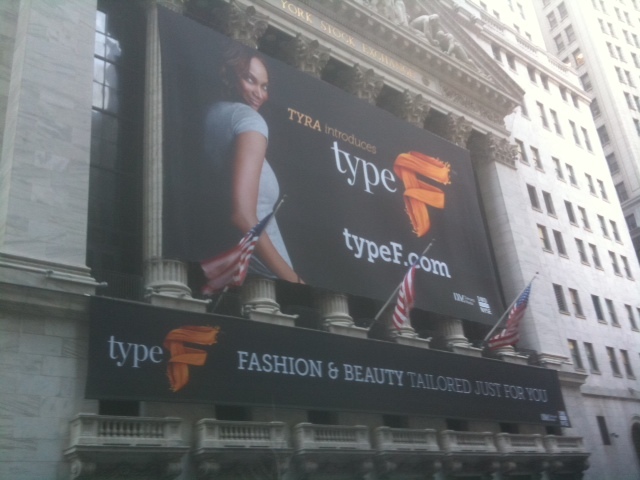 For all you Tyra Banks fans out there, you may have missed out on the big poster display over at New York Stock Exchange today. 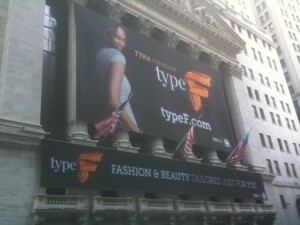 She apparently started her own website called TypeF.com and if you are all about fashion and beauty, feel free to check it out. If you ask me, I think she look marvelous in the poster! 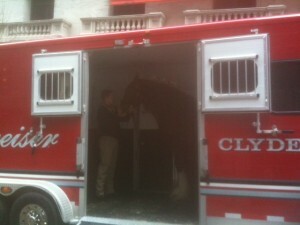 Here’s a view if you missed it. 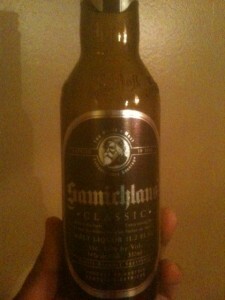 I received a 12-oz bottle of Samichlaus Classic as a gift (as well as other various beers) and this happened to be one of the best beer gifts ever – the taste is super sweet, super smooth, and super strong!! 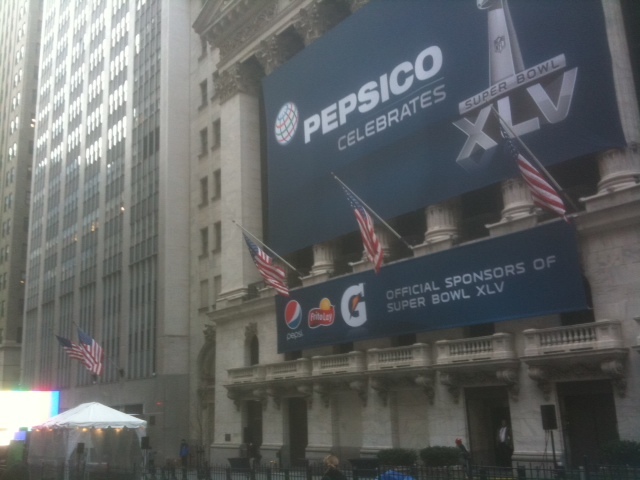 Believe or not it’s 14% alcohol by volume, yes for one bottle – beats your typical Coors Light by a 3:1 ratio. Drink two and nap-time will be calling your name. 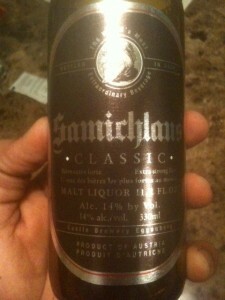 It’s a product of Austria – boy do these guys know good beer. If you’ve ever tried Dragon Stout (Jamaican), it’s quite similar but I think Samichlaus Classic takes it by a short margin.